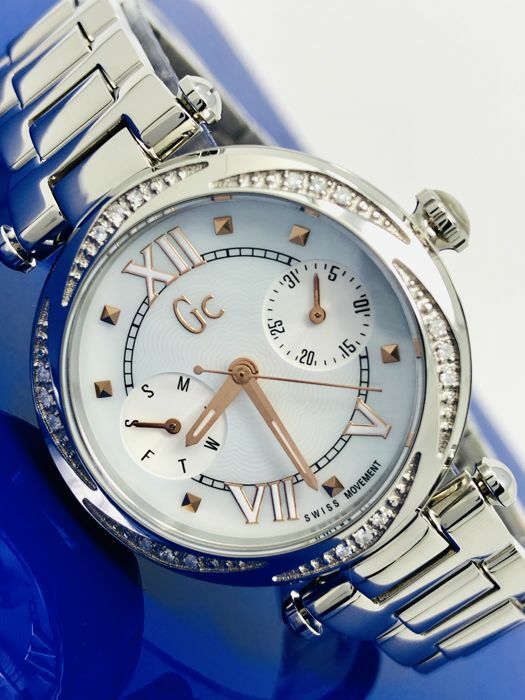 White Mother of Pearl Dial with Day and Date. 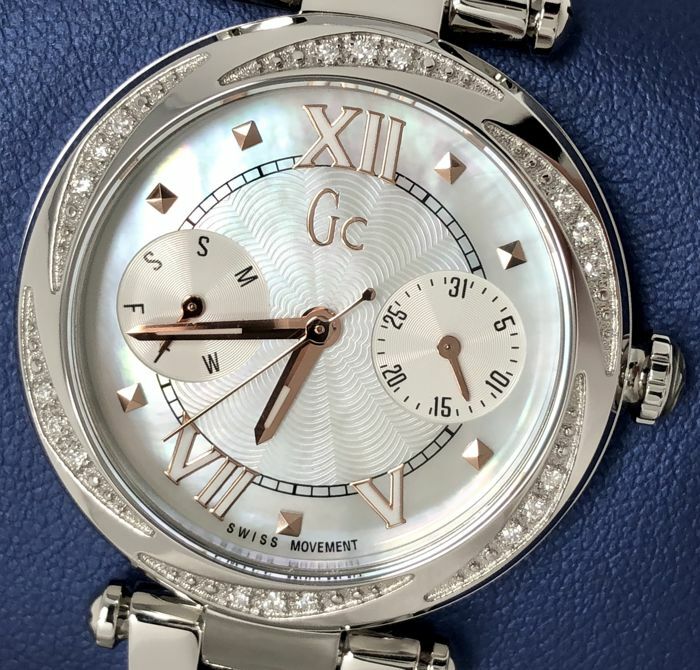 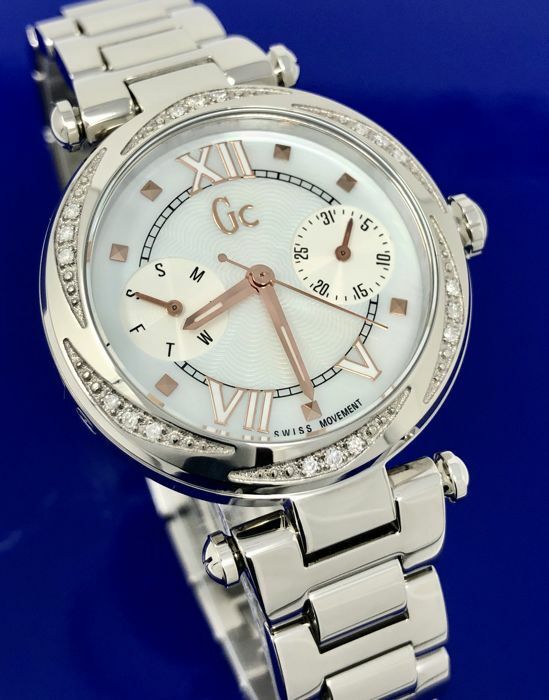 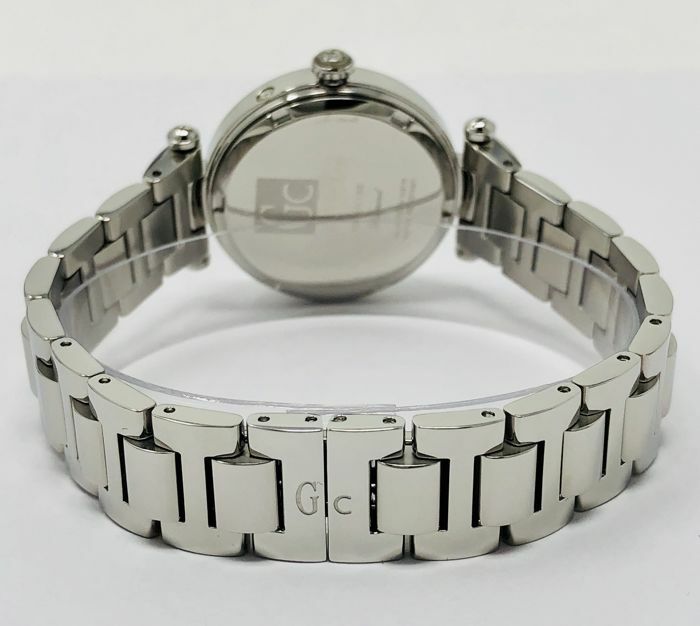 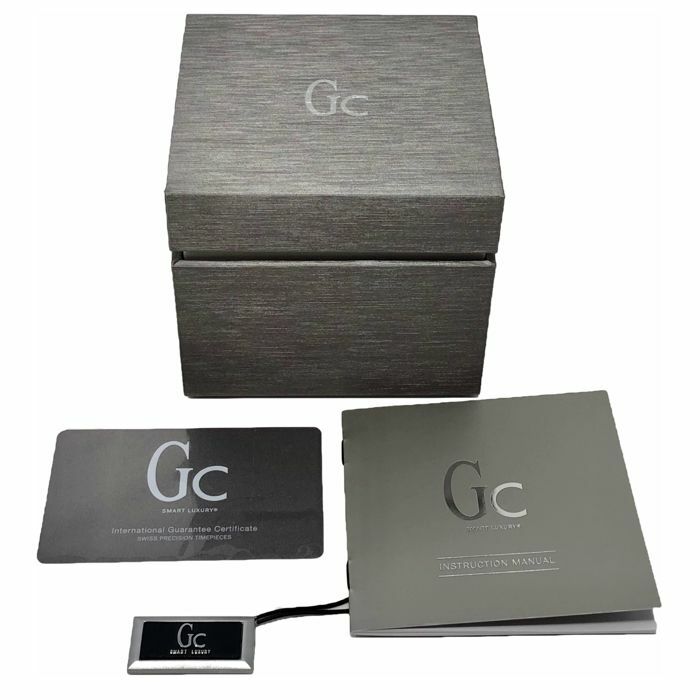 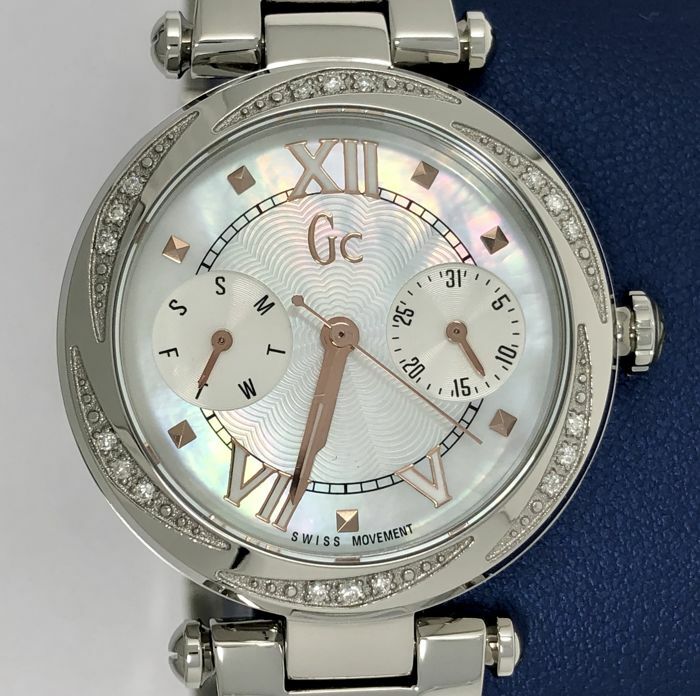 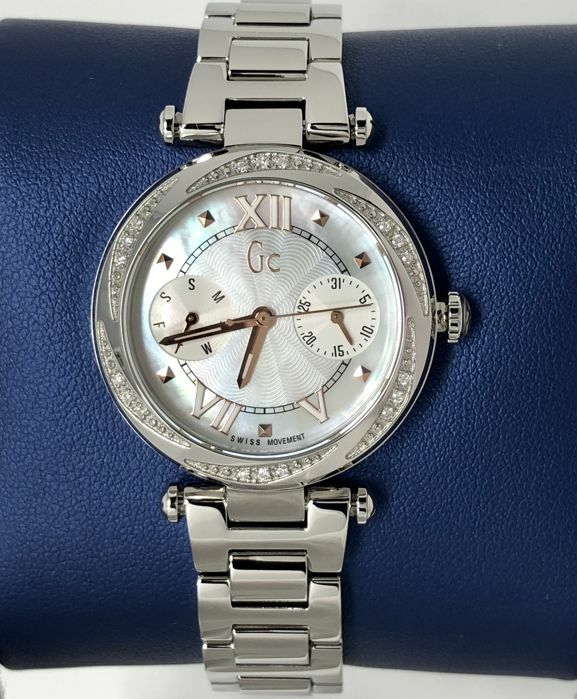 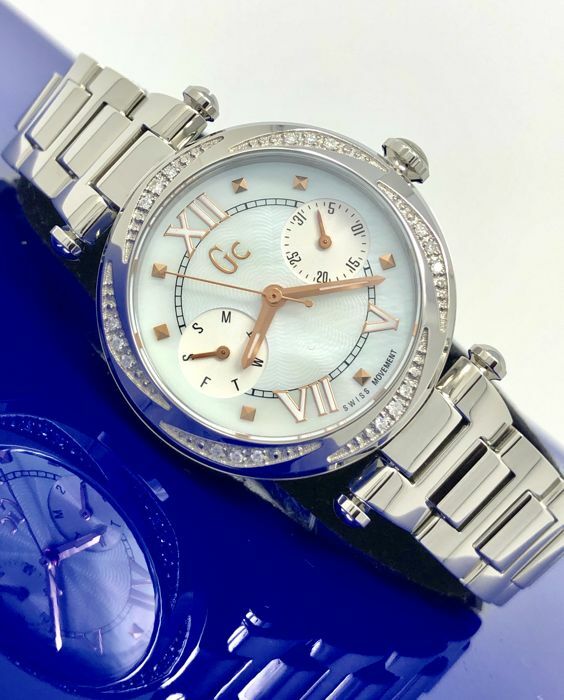 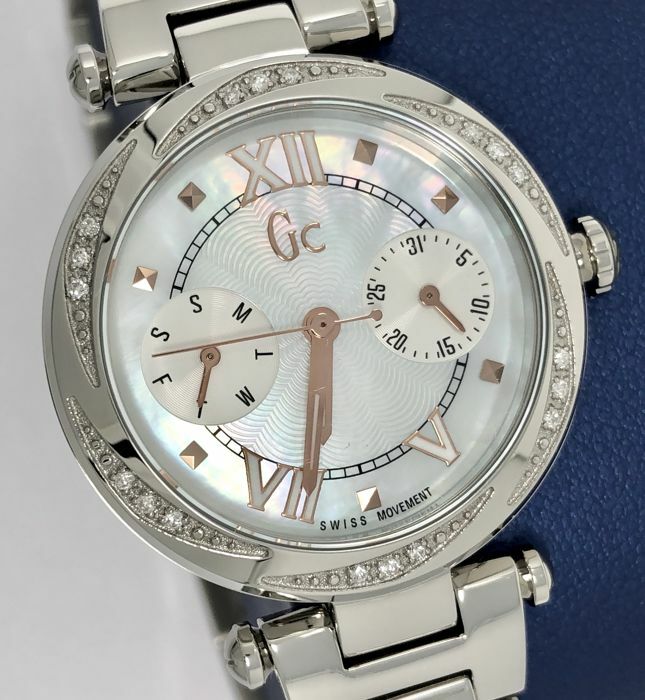 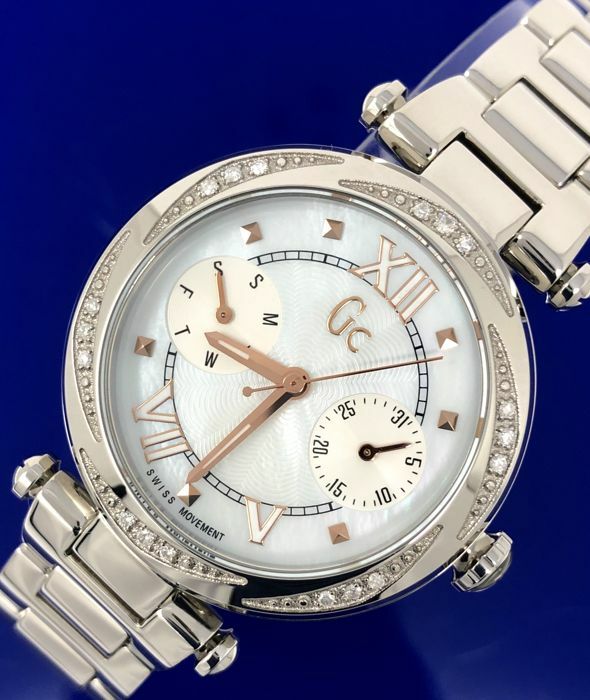 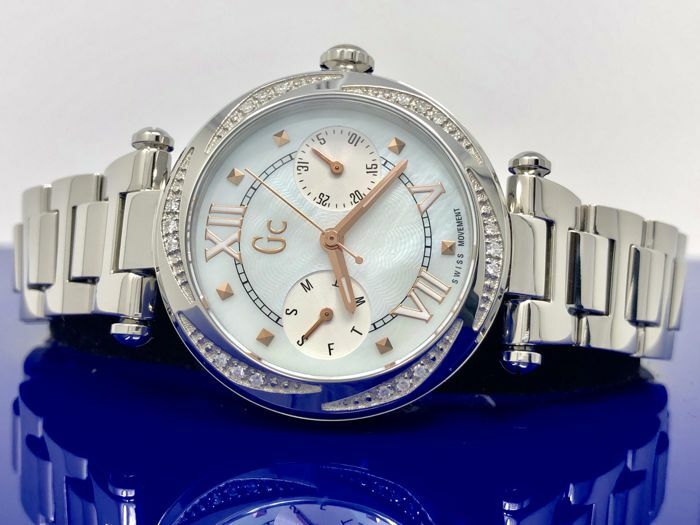 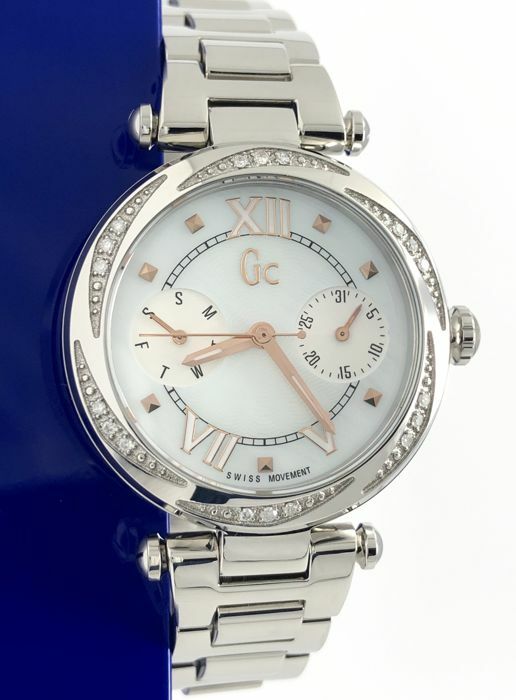 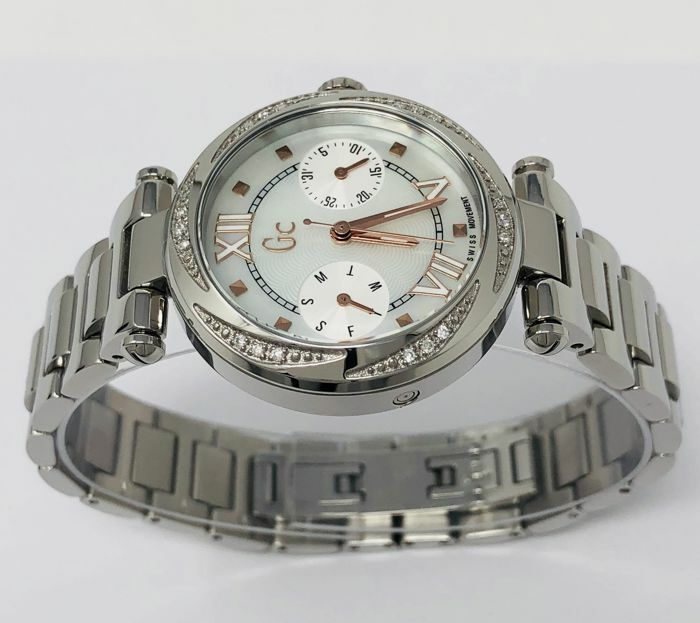 GC LadyChic is a very impressive Ladies watch. 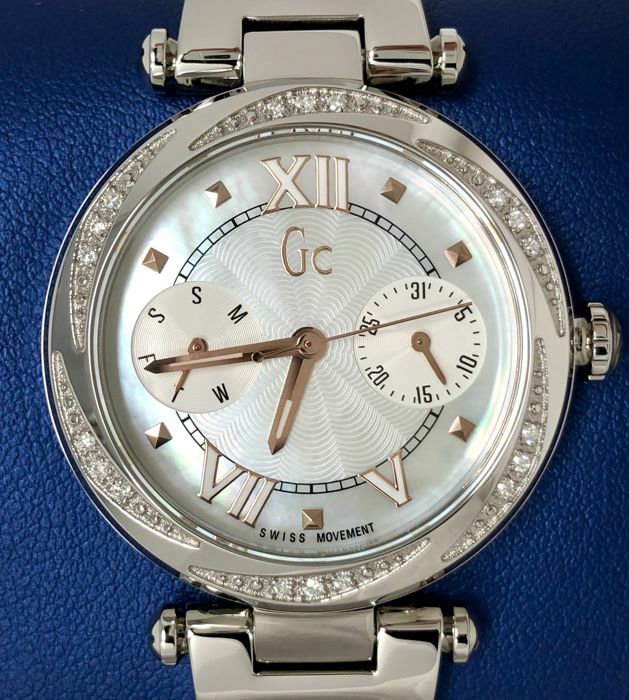 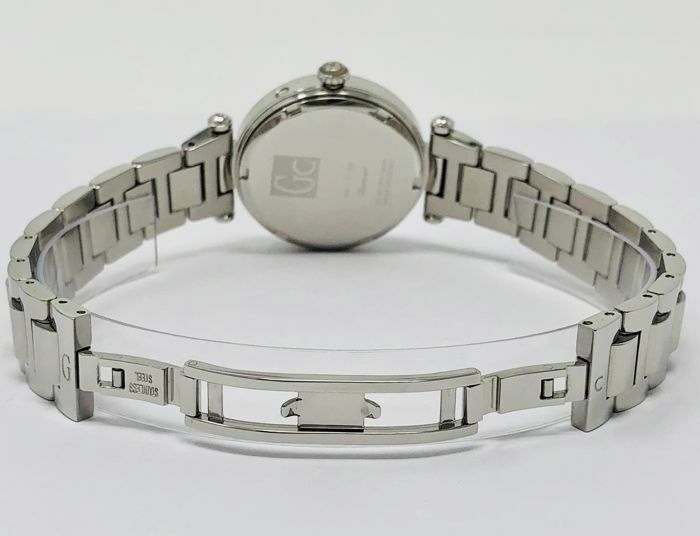 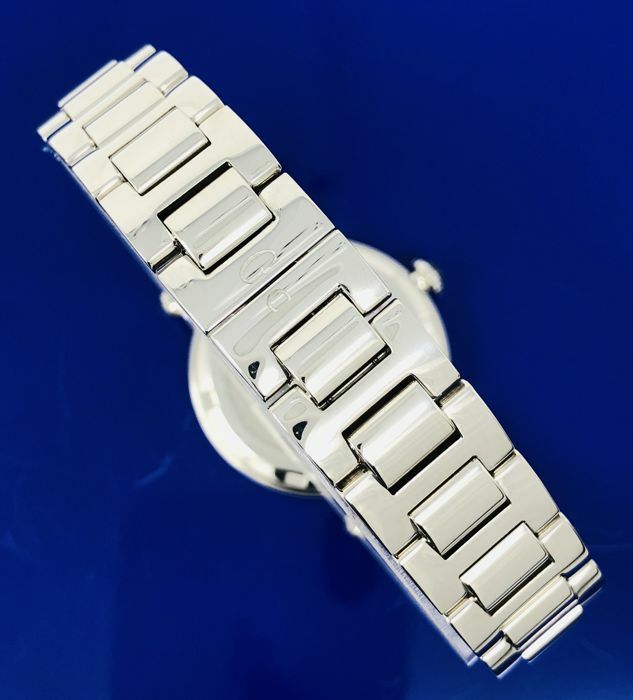 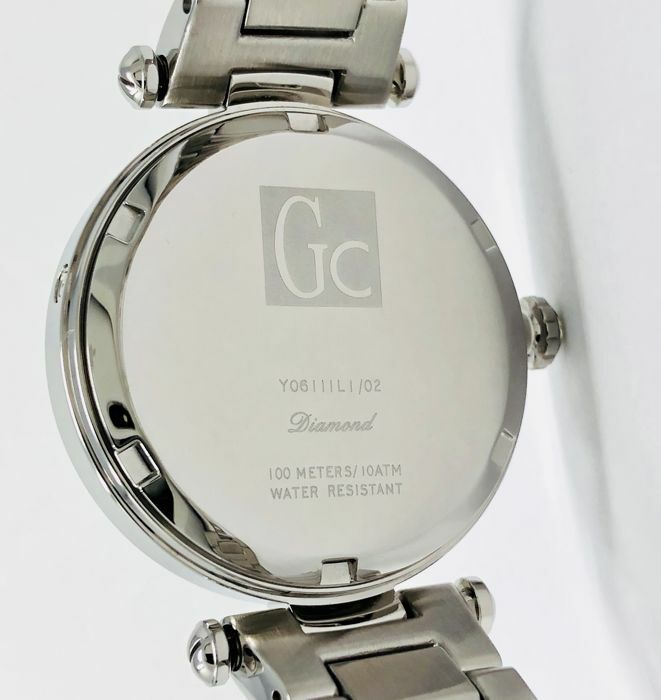 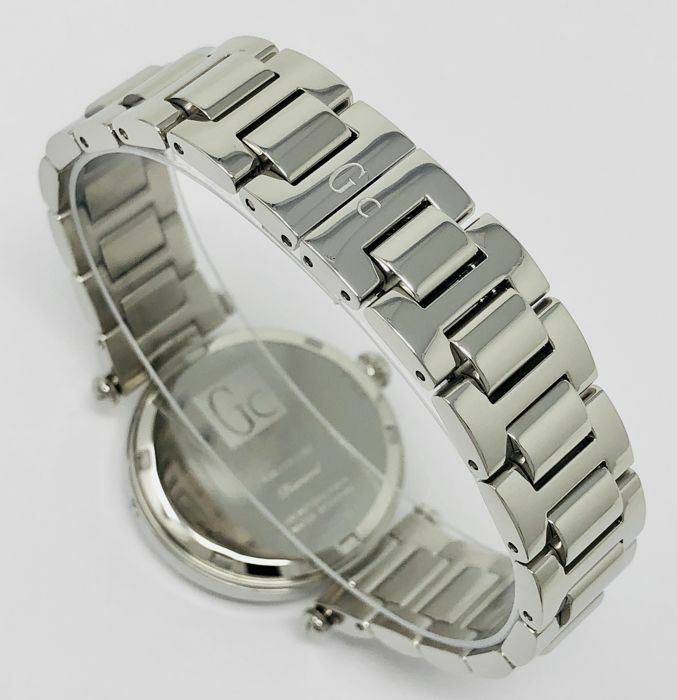 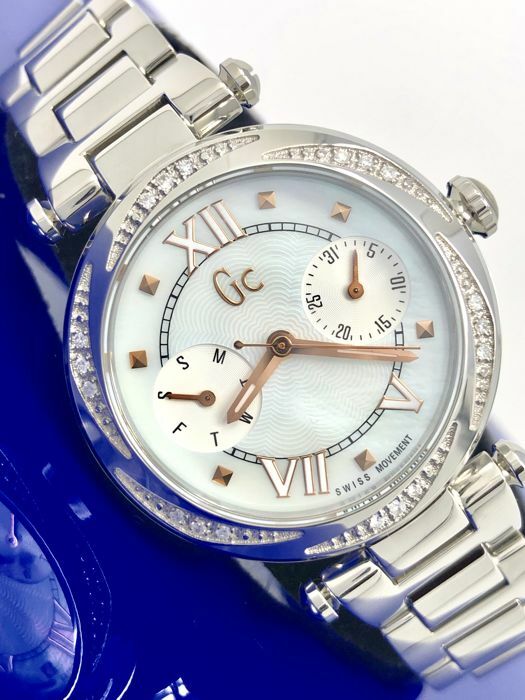 The Stainless Steel case together with the White Mother of Pearl dial, the diamond encrusted bezel and the silver tone bracelet give the watch that unique look.